Montego Bay Jamaica remains the reigning premier tourist hot-spot of Jamaican resorts. On the coastline to the east of MoBay sits upscale all-inclusives resorts, beautiful golf course and the most famous house, Rose Hall Great House. It is also known for its world-renowned summer festival, Reggae Sumfest. For those who are planning a visit to the country, you'll find Montego Bay Airport on the north portion of the island towards the west. Montego Bay is the capitol of St. James Parish, and it's the third largest city in the country, after Kingston and Spanish Town. Visitors know this destination well as a duty free shopping location. It is quite popular with cruise lines. There are a number of options and things to enjoy when in Montego Bay. If you're looking to hear Jamaica reggae music, you'll find it here. There are many other reasons to be here as well. Find out how to start planning your Montego Bay vacations. This area isn't only known to draw tourists, but it also attracts a large group of people wanting second homes. Whether it be people from the United States, or those who are prominent in the capitol of Kingston, you'll find there are a number of privately owned vacation homes in the area. 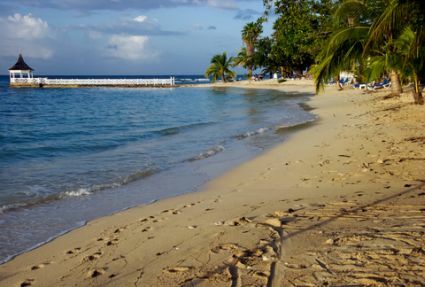 In 1992 Jamaica opened Montego Bay Marine Park its first national park. It is completely underwater, is educational and a fascinating excursion. 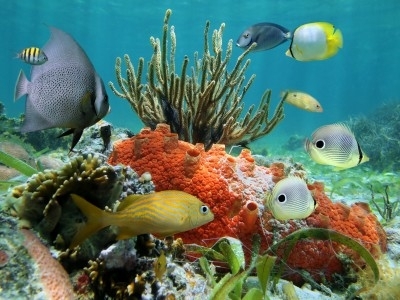 You will see dozens of tropical fish, their environment and amazing coral reefs. To get to and from Montego Bay Jamaica, you can use any of the major modes of transportation. It's home to the largest airport on the island. There are many flights into the city from many of the main southern airports in the eastern United States. Through 1992, you were able to take the railway to Montego Bay from Kingston. It closed abruptly that year, as did all rail transport in Jamaica. The city is also very accessible from the road. There's a transport center as buses and taxis travel from the city to Kingston. The city is also accessed by port as the cruise lines dock on the man-made peninsula. If flying to Jamaica here is a guide to our different areas airports and to more about Cheap Flights To Montego Bay. There are many reasons why to visit Montego Bay Jamaica. The fact that it's duty free is just one of the many reasons. There are many other activities that can be enjoyed while in the city. There are many fine restaurants. The beach boasts exceptionally clear water great for scuba diving, championship golf courses for your enjoyment, shopping and elaborate resorts. They'll provide all of the amenities you'll need for your vacation in the Caribbean. If interested, you can also visit some of the sugar plantations which are a historic part of the city. Return to Home Page from "Montego Bay Jamaica"